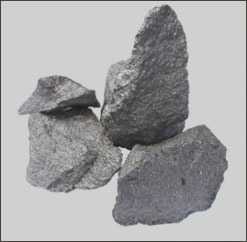 Ferrotitanium is used as an inoculant for alloyed steel production, and for final steel deoxidation. It’s possible to supply ferrotitanium with other content of Ti, by the order of consumer. 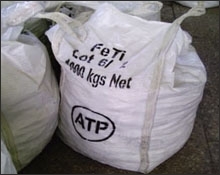 Ferrotitanium is packed in multilayer big bags made of polymeric stuff. Big bags have grips for facilitation of grasping. Each package is marked and there are mentioned the stuff, numbers of lot and place, net weight, manufacturer. Such packing provides the cargo’s safety of keeping and transportation.